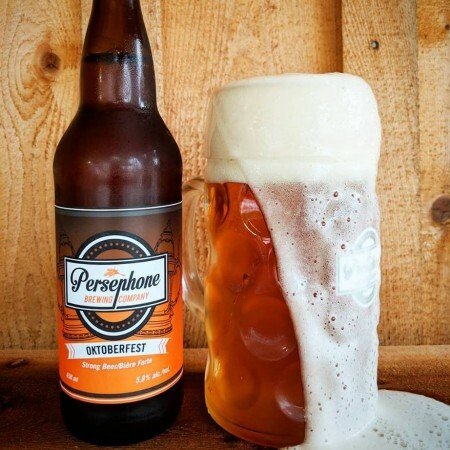 GIBSONS, BC – Bring Your Porter To The Slaughter reports that Persephone Brewing has released this year’s edition of an annual autumn seasonal. Our Oktoberfest lager is brewed in the traditional Märzen style and it’s one that we like to change up a little bit every year, while staying within the style. This year’s batch is brewed with Gambrinus Pilsner malt and Munich malt, as well as a touch of Honey malt and German Dark Wheat malt. Oktoberfest Lager is available now at the Persephone retail shop and select private liquor stores while supplies last.